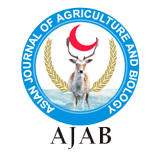 Asian J Agri Biol, 2016, 4(4): 140-152. 1Provincial Reference Fertilizer Testing Laboratory, Lahore, Department of Agriculture, Government of Punjab-Pakistan. 2Department of Soil Science, University College of Agriculture & Environmental Sciences, The Islamia University of Bahawalpur, Pakistan. 3Department of Soil Science, Muhammad Nawaz Shareef University of Agriculture, Multan, Pakistan. 4Department of Arid Land Agriculture, King Abdulaziz University, Jeddah-80208, Saudi Arabia. 5Soil and Water Testing Laboratory for Research, Chiniot, Department of Agriculture, Government of Punjab-Pakistan. Zinc (Zn) is a micronutrient, essentially required by plants, animals and humans. Zn deficiency in humans due to the consumption of food with inadequate Zn content is of global concern. Approximately, one third of poor world’s population is at high risk of Zn deficiency due to its reliance on cereals for daily caloric requirements. The cereals, generally grown on calcareous soils have low grain Zn. The major reason of lower Zn content in cereals is poor Zn bioavailability induced by various soil and/or crop management factors. The factors responsible for low grain Zn are high soil pH, low organic matter, salinity/alkalinity, water logging, and poorly managed soil fertility. Due to its critical role in growth and development of humans, food with adequate Zn content is mandatory. This situation demands some effective strategies for the enhancement of grain Zn content to overcome human Zn deficiency. Zinc supplementation of food, Zn pills, breeding of high Zn uptake species, and biofortification through fertilizers are being employed to address the issue. Among all strategies, Zn biofortification through fertilizers is an effective and economical technique. Mineral Zn fertilizers are applied alone or in combination with organic and biofertilizers. Integrated use of mineral, organic and biofertilizers improves Zn uptake and assimilation in cereals grains. Nanotechnology and enrichment/coating techniques are also effective to enhance grains Zn. This review critically discuss the efficiency of various strategies to promote Zn availability and uptake by plants that assure food and nutrition security. Zn enriched/coated urea is considered an effective tool to ensure crops with optimum concentration of Zn for human consumption.